We Offer the full range of New & Rebuilt Rockwell Meritor Differentials, drive axles and parts for trucks and equipment. As well as new, used and rebuilt exchange units for trucks. We service and install any and all truck drive axles for Kenworth, Peterbilt, Freightlinear, International, Volvo, Mack, Ford, GMC, Crane Carrier, CCC, Autocar, Western Star, Dodge and Oshkosh trucks. We also stock replacement parts for all differential models, kits, rebuild kits, and more. Differential and parts available for all Rockwell models. We have been successfully delivering differentials, transmissions, transfer cases, axles, PTOs and more truck parts for over 20 years and offer a one year unlimited mileage warranty on all rebuilt differentials we sell! To view our Rockwell differentials for sale visit our For Sale section. If you don’t find the model you need, contact us and we can locate it for you. We Ship Rockwell Differential Parts Worldwide, Our shipping warehouses are strategically located across the USA and word wide to insure fast delivery. Our Warehouse is fully stocked with parts for any application and consists of thousands of individual parts for sale OEM and aftermarket. Call 877 776 4600 For Discount Pricing. We also offer a complete line of Rockwell Meritor Differential parts, Rebuilt, New and Used Heavy Duty Truck Differentials as well as repair parts from repair kits, rebuild kits to gears, shafts, Ring and pinion gear sets, drive axle, axle shaft, overhaul bearing kits for you. 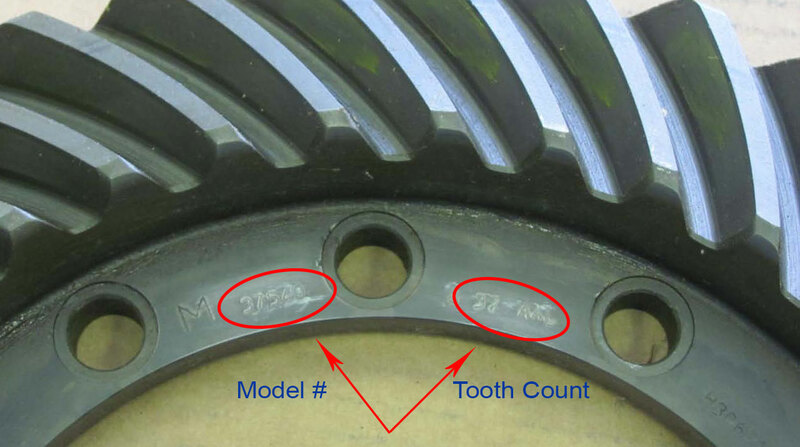 Retreive these stamped numbers inside of ring gear holes, between bolt holes. 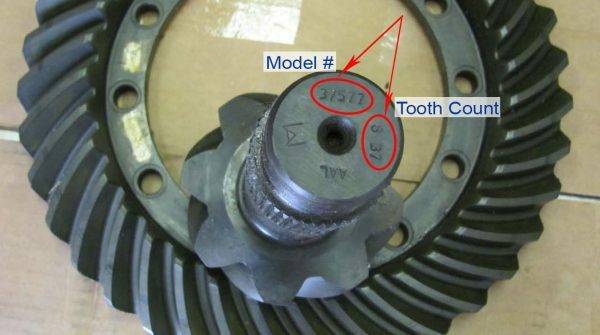 Take note of the stamped numbers off the end of the pinion where the nut goes on. 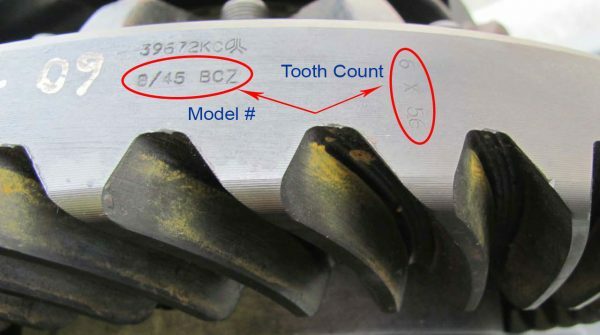 The tooth count is used for determining the ratio. Some unit’s numbers are located on the edge of the ring gear. Our Rockwell parts and service technicians have more than 100 years combined experience. Call today with any parts or service requests you have. We have the answers you need. Need to get it done in a hurry? For Parts, Sales, Service, Repair and Exchange differential. Give us a call we will be happy to assist you. Call today, receive your rebuilt Rockwell differential tomorrow!